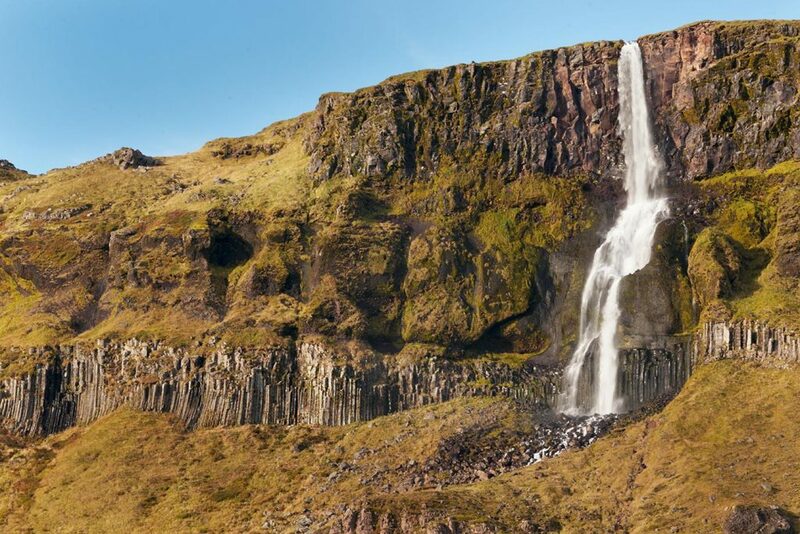 This waterfall was named Bjarnafoss thanks to one former rich local farmer, Bjarni. According to a legend he threw all his money right in this waterfall. If you believe in this story, you can go look for it (similarly, there is a treasure behind the Fardagafoss waterfall). If you are an unbeliever in that story, you can just enjoy this waterfall so how it is. Hey, if you are here, do not forget to make a stop by Búðakirkja black church, which is just stone´s throw away. Bjarnafoss is situated on the south coast of the Snæfellsnes peninsula, where the road nr. 54 diverts into the mountains. There is a parking lot nearby (GPS: 64.842707, -23.402344) and you can find the waterfall right from there. 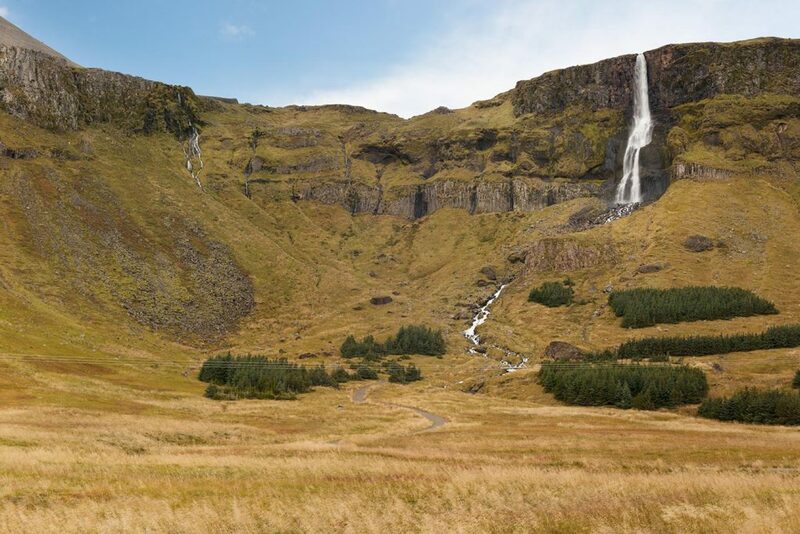 GPS coordinates of the Bjarnafoss waterfall: 64.848143, -23.403414 Take me there!